Walking The Prevention Circle: Re-Searching Community Capacity Building is a project that wants to engage in research partnerships with Indigenous communities to better understand what moves communities from a cycle of violence to a circle of healing, rooted in First Nations, Métis and Inuit cultures and practices. Over the past five years, a team of researchers and professionals in partnership with PREVNet (including the Canadian Red Cross, Wilfrid Laurier University, and York University) has developed a research program to study this community capacity process. The team was successful in receiving a $2.5 million SSHRC grant to study the community mobilization process related to Walking the Prevention Circle (WTPC) in Canada and Australia. PREVNet will contribute its knowledge mobilization expertise to this project. In partnership with 5 Indigenous communities in Canada and 2 in Australia, we are studying the movement of Indigenous communities toward wellness. This community-wide movement is the product of the communities participating in Walking the Prevention Circle, which includes 10 Steps to Creating Safe Environments for Children and Youth, delivered by the Canadian Red Cross. Community-wide movement (or community mobilization) refers to the coming together of community members to work toward a common goal. In this case, the goal is to create safe environments for children and youth, as well as skills and resources to promote healing and prevent violence within Indigenous communities. We want to understand what aspects of this community-wide movement work to create positive change, and how these changes come about. Community-based researchers will gather knowledge about their community’s history, services, activities, policies, goals, strengths and challenges, documenting the process of community mobilization in communities before, during and after Walking the Prevention Circle programming. Following the principles of Indigenous Research Methodologies, the community decides how the research is done, and how the learning is shared. Working with the Canadian Red Cross, in partnership with Indigenous communities, PREVNet is developing knowledge mobilization tools for Walking the Prevention Circle, a program that acknowledges the history, challenges, and potential of Indigenous individuals and communities. This project aims to understand what moves communities from a cycle of violence to a circle of healing, rooted in First Nations, Métis, and Inuit cultures and practices. A principal objective in this project is to share the knowledge gained through this research. The findings will provide direction for efforts to support communities and organizations in building capacity and in developing strategies to promote community cohesion and movement toward a path of wellness. The findings will be shared through presentations to communities and organizations as well as academic conferences, and in articles, books or book chapters, reports, policy papers, exhibitions, educational tools, resources, and web-based materials. 5 Indigenous communities in Canada and academic partners are working together to carry out this important research. These include the Canadian Red Cross, the Australian Red Cross, PREVNet, York University, Wilfrid Laurier University, the Royal Canadian Mounted Police (RCMP), among others. This project is funded by the Social Sciences and Humanities Research Council of Canada (SSHRC). The Canadian Red Cross (CRC) is a major partner in this grant. A core area of excellence for the CRC is violence and abuse prevention. Their Respect Education: Violence and Abuse Prevention programs have been helping to promote safe, supportive relationships and healthy communities since 1984. Built on decades of CRC experience in prevention education, injury prevention, and community-based safety programs, this nationally recognized, award-winning service has reached more than 4 million Canadians. Walking the Prevention Circle (WTPC) is one of the Respect Education programs. WTPC was developed by and for First Nations, Inuit, and Métis communities and has been building Indigenous community capacity for the past 13 years. Over 200 First Nations, Inuit and Métis communities coast-to-coast-to-coast have examined relationship issues and safe environments for their children and youth. Shelley Cardinal is the National Indigenous Advisor to the Canadian Red Cross Respect Education: Violence and Abuse Prevention program. She is the driving force behind Walking the Prevention Circle, a program that focuses on violence prevention education for Indigenous communities. With an understanding of the many issues facing Canadian Indigenous Peoples, Walking the Prevention Circle is designed to help communities gain awareness of prevention strategies that can be used to decrease the impact abuse and violence has in everyday life. A member of the Bigstone Cree Nation in northern Alberta and now based in Victoria, BC, Shelley works closely with Indigenous Peoples and communities across Canada. Shelley has an education background in Psychology and Social Work with post graduate education in Leadership. 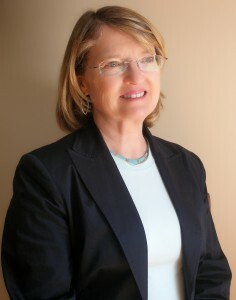 Dr. Debra Pepler is one of PREVNet’s Scientific Co-Directors and is a Distinguished Research Professor of Psychology at York University and a Senior Executive Member of the LaMarsh Centre for Child and Youth Research. At the Hospital for Sick Children, Dr. Pepler is a Senior Associate Scientist with extensive experience co-leading team and network research grants. Dr. Pepler has been honoured for this research with the Contribution to Knowledge Award from the Psychology Foundation of Canada, the University of Waterloo Arts in Academia Award, and the Canadian Psychological Association Award for Distinguished Contributions to Public or Community Service. 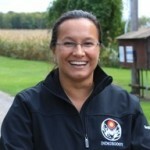 Dr. Kathy Absolon is Anishinaabe Kwe from Flying Post First Nation. Her Anishinaabe name is Minogiizhigo kwe (Shining Day Woman). She is also an Associate Professor in the Faculty of Social Work (FSW) and is the Program Coordinator of the Aboriginal Field of Study, FSW at Wilfrid Laurier University and brings strong experience in Indigenous research methodologies and processes. Dr. Absolon has recently published a book, Kaandossiwin: How We Come to Know (Fernwood, 2011) in which she examines the work of Indigenous scholars who utilize Indigenous worldviews in their search for knowing. In her book, she lays the foundation for research that is true to Indigenous principles and methods. 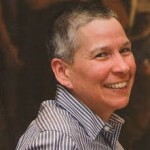 Kathy will provide training and support to the community-based researchers. She will lead the community-based research process and play a critical role in interactions with communities as we analyse and seek meaning. Dr. Susan D. Dion is an Indigenous scholar (Potawatomi and Lenape) who has been working in the field of education for over twenty-five years. Professor in the Faculty of Education at York University, her research interests include decolonizing and Indigenizing education; Urban Aboriginal Education; and violence prevention in Indigenous communities. Dr. Dion works in collaboration with the Toronto District School Board Aboriginal Education Centre on research and program development. She is widely consulted by diverse community groups, workplaces, and institutions on developing methods for building more equitable, respectful relationships between Indigenous and Non-Indigenous people. Dr. Dion’s book titled Braiding Histories: Learning from Aboriginal Peoples’ Experiences and Perspectives (2009) is available from UBC Press. Dr. Claire Crooks is currently an Associate Professor in Applied Psychology at the Faculty of Education at Western University. Prior to this position, Dr. Crooks was a Scientist and Associate Director at the CAMH Centre for Prevention Science, conducting research in a number of areas, all looking at the gaps between science, practice and policy related to healthy development of children and youth. 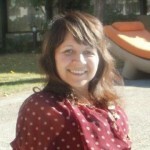 As a co-developer of the Fourth R program, an evidence-based healthy relationships program (see www.youthrelationships.org), much of her research has focused on the evaluation of this program in different contexts. Dr. Crooks has a particular emphasis on strengths-based programming for Indigenous youth, and has worked closely with partners in the Thames Valley District School Board (TVDSB), Saskatchewan, and Northwest Territories to adapt, implement, and evaluate Fourth R programs.